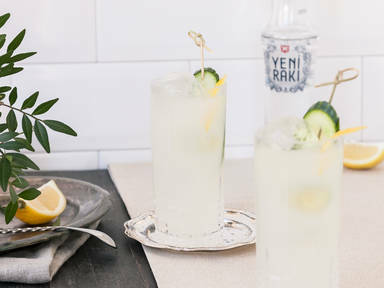 Add lemon juice and raki to a serving glass and stir to combine. Add ice to glass and fill up with ginger beer. Garnish with cucumber slices and lemon zest. Enjoy!